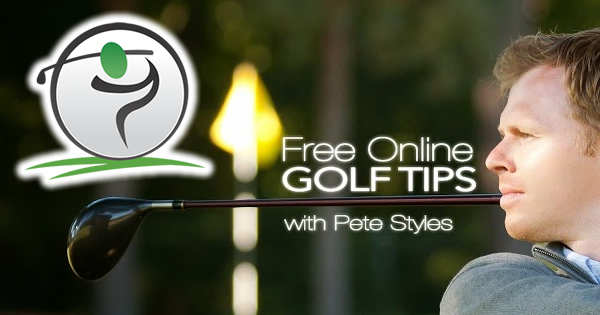 Swaying is the swing error that features hips that are moving laterally during the golf swing. During the backswing, hips will slide back towards the back foot and during the downswing and impact, hips will slide forward towards the front foot. In essence, the hips are not staying in place, or staying in the box. 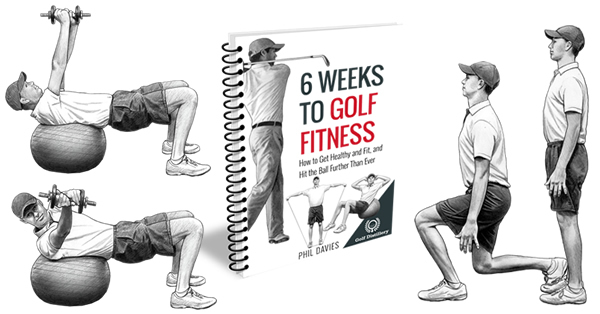 In a better swing, the golfer’s body weight will move back and forth mostly through the rotation of the upper body along a central axis. Essentially, the hips are meant to act as that central axis and the upper body is to rotate on top of them. 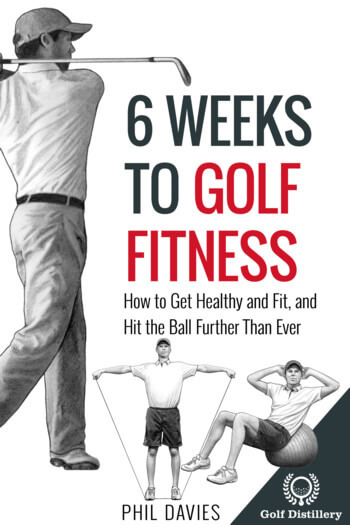 While a golfer suffering from the sway will believe he is getting his hips involved in his golf swing, he may not realize that he is not actually turning on top of them. Indeed, he merely is sliding them around. Failing to coil the hips will make it impossible to fully uncoil them towards impact. This failure to coil/uncoil the hips will translate into an all-arms swing where only the shoulders will rotate, robbing you of considerable power and consistency. 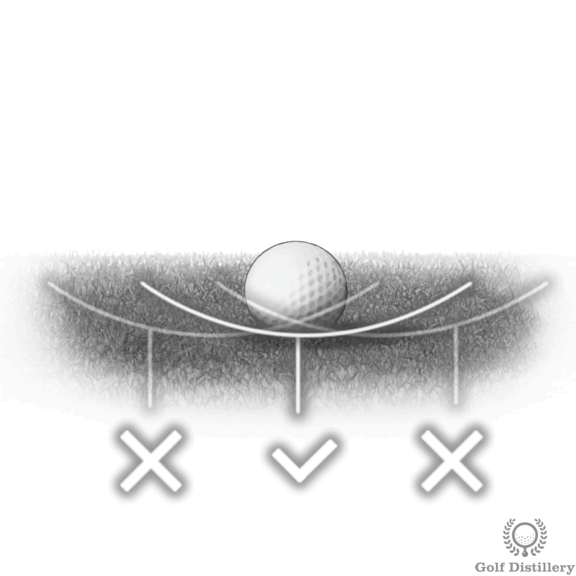 Between the address position and the impact, the ball will not have moved on the ground. Your body however will have, and to great lengths especially if you’re swaying. Being able to consistently bring your club to where it should be at impact is central to a good golf game. Sliding your hips back and forward makes it difficult to achieve this. Indeed, ideally the bottom of the swing arc should be located just in front of the ball in order to promote pure strikes at the ball. Moving your hips laterally will make it very difficult to reliably position the bottom of your swing arc in that desirable position. 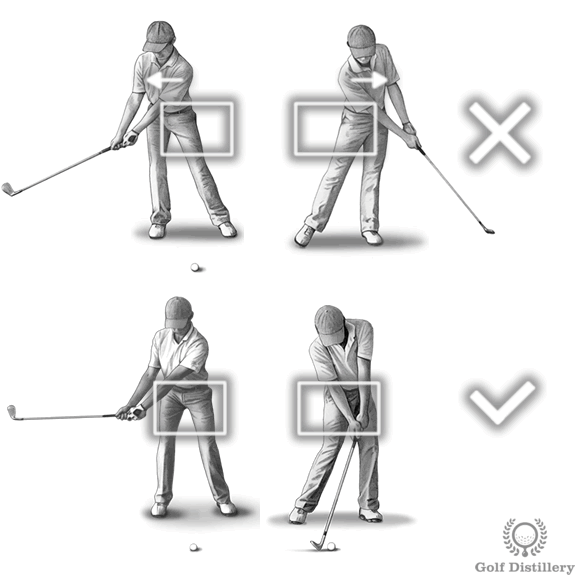 Rotating your hips and keeping them mostly in place will greatly contribute to grooving a reliable golf swing. 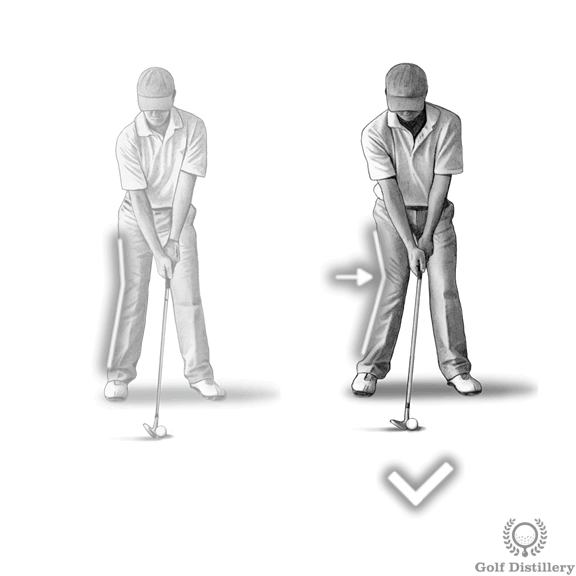 Although swaying can also be found on the downswing only it usually begins during the backswing. Preventing your hips from moving early in your swing will help in keeping them in place for the downswing as well. And a good way to stop your hips from sliding back is to lean your right knee in. This small gesture, best executed while setting up or better still as a swing trigger, will essentially lock your right knee in position, forcing your hips to turn instead of sliding back. Since the hips were correctly coiled back it will be much more intuitive to naturally uncoil them during the downswing as you head into impact with the ball, and to do so without much lateral movement.